Are you looking for new recipes to try during this New Year? This delicious protein and veggie recipe post is sponsored by Alexia Foods. All opinions are my own. Getting the kids to try new flavors can be tough. My triplets are game to try anything, but my daughter is a picky eater. She turns her nose up at anything that doesn’t resemble one of her favorites. One trick that I have learned over the years is to incorporate food that she likes with new tastes. She will usually try the meal, and sometimes even grows to like it. For the New Year, my goal is to include more protein and vegetables in her diet. By mixing these ingredients with her favorite Alexia potatoes, I’ve created a dish that she now requests at least one night a week! Begin by baking the Alexia Smart Classics Roasted Tri-Cut Potatoes as directed on the back of the package. Straight out of the oven, Alexia Smart Classics are 98% fat free and 100 calories per serving. They are made with U.S. grown Yukon potatoes. If your family prefers, in addition to the Alexia Smart Classics Tri-Cut Potatoes, they also come in straight-cut fries and crinkle-cut fries. While the potatoes bake, pour olive oil in a large skillet and cook the chicken. Once it is completely cooked through, shred the chicken in a large bowl. 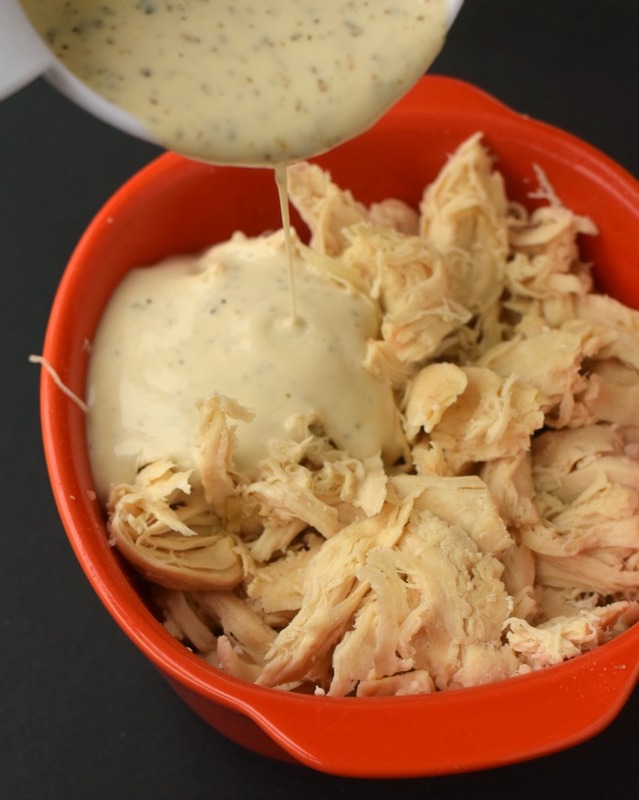 Pour the organic Greek yogurt dressing over the chicken and mix. Set aside. Once the potatoes are finished baking, pull them out of the oven and add the garlic powder, oregano, and marjoram. Mix the potatoes and spices thoroughly. Top with the chicken, followed by the bell pepper and cheese. Place the pan back into the oven and bake until the cheese is melted. The dish comes out of the oven, ready to eat! If you’re also looking to add more veggies into the kids New Year’s routine this year, feel free to add more or different vegetables. This dish is a great way to dice veggies up in tiny pieces and hide them in there! 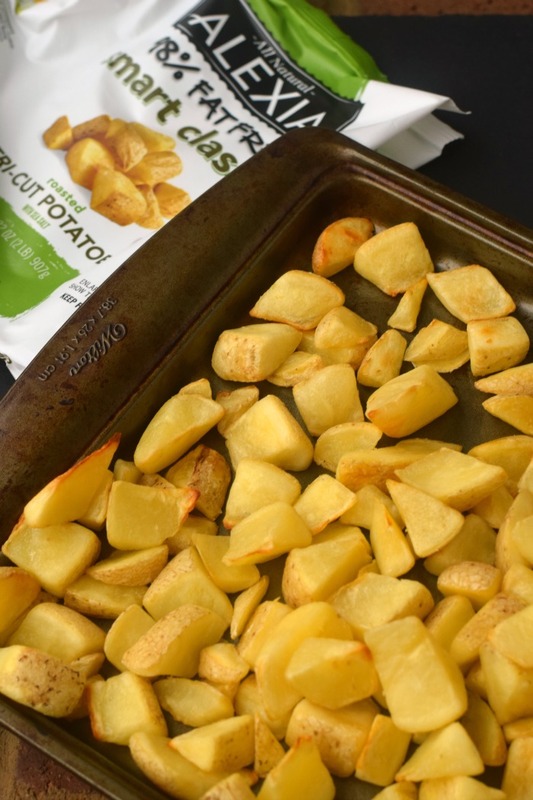 Alexia Foods offers frozen potatoes, appetizers, breads, and side dishes with minimal, but distinctive, real ingredients that serve up exceptional Farm to Flavor taste–right in your kitchen. For more recipes, tips, and inspiration from Alexia online, check out AlexiaFoods.com. 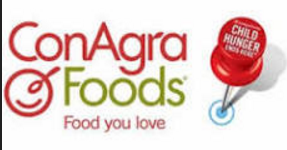 Alexia products are sold at natural, club, grocery, and mass retail stores nationwide. See their recipe page for recipe inspiration, or connect with Alexia via Facebook, Pinterest, and their newsletter. An absolute perfect weeknight meal! I love that there is no pasta in this! This looks like an easy, delicious dinner idea! 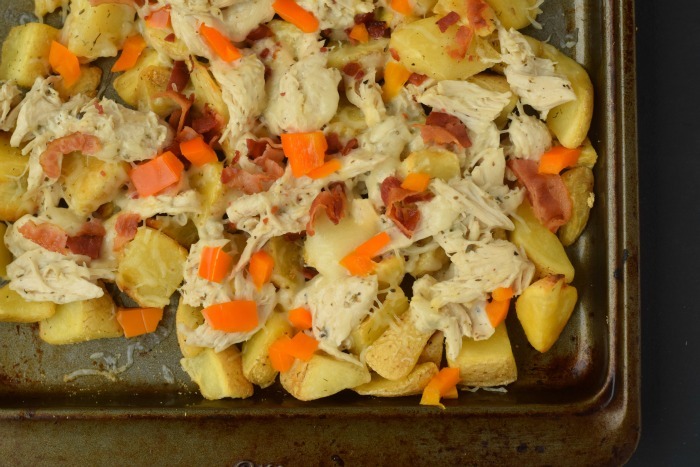 This recipe seems easy enough to make and it’s definitely a great lunch or dinner! So adding this to my menu!!! This looks so good and easy! An added bonus is using the frozen cut potatoes..I hate cutting whole potatoes! I love the yogurt sauce you used in this recipe! I give a lot of credit to those who have picky eaters – I feel like you have to work hard to that challenge and looks like you did a great job! I LOVE easy and delicious recipes like this!!! 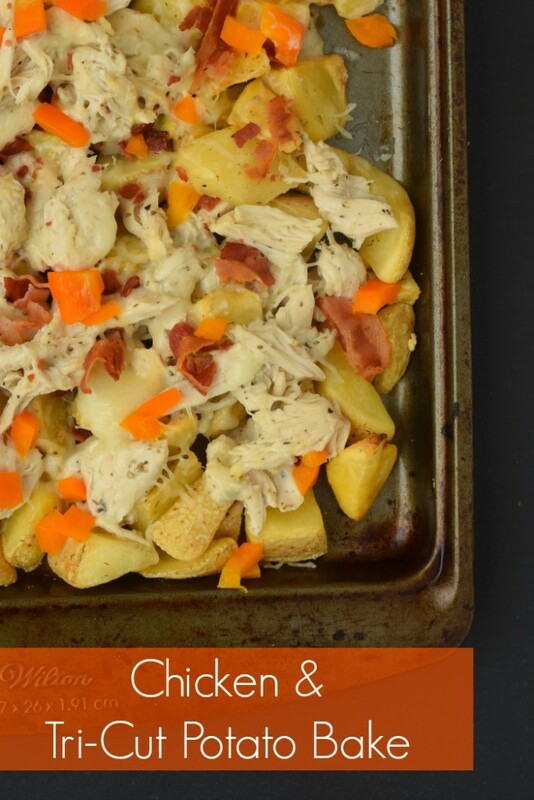 Looks easy and the perfect “comfort food” dinner. Yum!